Frank Zappa once said, "You can't be a real country unless you have a beer and an airline." India has six even though a 'beer-airline' shut down a few years ago. Zappa was bang on when it came to figuring out India because clearly, we are still "worth something". Here is a fun fact. Did you know that Indira Gandhi International Airport in Delhi and the Chhatrapati Shivaji International Airport in Mumbai now handle more than half of the air traffic in South Asia and also act as a vital air traffic hub supporting Nepal, Bangladesh and Bhutan? According to a recent analysis, Delhi and Mumbai currently rank as one of the busiest city pairs when it comes to flight arrivals and departures. That alone should drive airport modernisation and the logic of establishing hubs. The birth of the privately owned and managed airports has its roots in the policy set up by the NDA government in 1997 under late Prime Minister Atal Bihari Vajpayee. Later on, then Civil Aviation Minister Rajiv Pratap Rudy paved the path for private operators and gracefully passed the airport development baton to Praful Patel. India's first privately owned, managed and operated airport commenced operations in Kochi in 1999, followed by Bengaluru, Hyderabad and others, while Delhi and Mumbai airports became government JVCs. Incidentally, both JVCs have been leased for 30 years and the government sits on their boards and earns revenues as per a revenue-sharing agreement. After the lease ends, both airports, with their bells and whistles, will go back to the Airports Authority of India. While Delhi and Mumbai have world-class features, creating a successful global hub requires unique value proposition as customers are pretty much open to every offer and it is all about being smart and cost conducive if you have to attract them. Therefore, lower fuel price and optimum handling, air navigation, landing and parking, a thriving and tourist-friendly micro-economy, reliable freight trans-shipment and easy multimodal access are some of the imperatives that we must focus on. Here is an example. Until recently, Qantas roosted and tech-stopped in Singapore for its flights returned from Europe. But thanks to the package deal offered by the UAE and the Dubai National Air Transport Association, Qantas chose to fly to Dubai. The reason why Indian airports did not pitch to Qantas is not difficult to understand. As we all know, every single airside (and city side) service cost includes a thick layer of taxes, making us non-competitive. An international airport's earnings are mostly in foreign exchange, which means the more aircraft arrive and depart, the better the growth. So, it is high time to lose the fat tax layer which is making us unattractive. 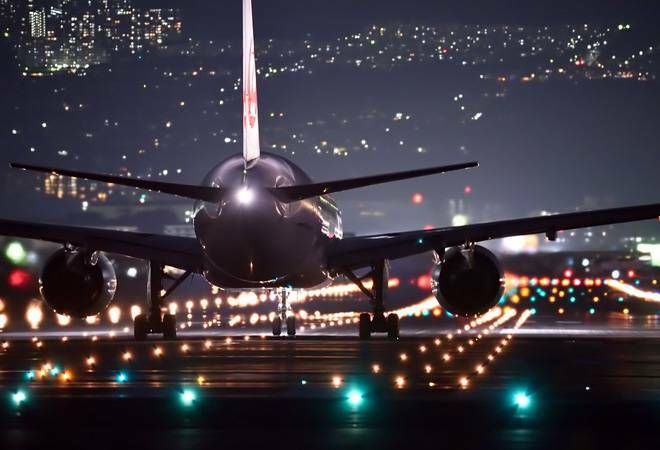 Indian airports are losing out to strategic ones such as the New Doha International Airport Terminal, Muscat's state-of-the-art new terminal, which is less than two hours away from Delhi and Mumbai, and the mega Al Maktoum International Airport in Dubai. The UAE, in effect, is a 'window-dressed' desert but it still attracts nearly 60 per cent of the world's freighters, commercial airlines and traffic. We, too, should have a phased and more realistic plan to make the world land and fuel in India. Undoubtedly, the government should play a vital role to make airports competitive. The financial instability, revenue projection shortfalls and extended RoI window of the GVK-owned Mumbai International Airport are clear indicators that the political machinery is not in sync with corporate India. This should change at the earliest as we need to realise that building a kilometre of road takes you just about a kilometre, but building a kilometre of runway takes you to the world.